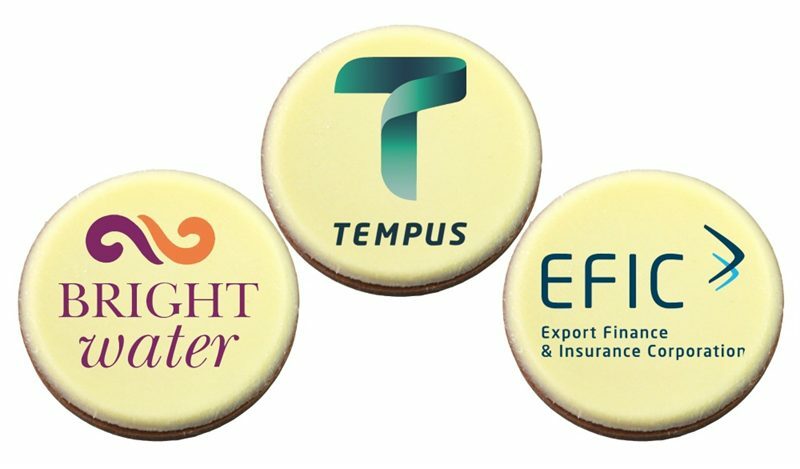 Your company logo will stand out in the middle with a delicious custom Milk Chocolate Squares Gift Box. Special occasions deserve special gifts and goodies. 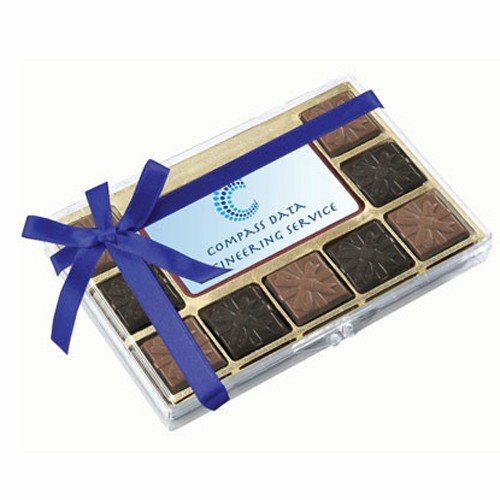 Try our custom Milk Chocolate Squares Gift Box, which holds nine creamy pieces of solid milk chocolates and an equally tasty centrepiece which you can have customised to showcase your company logo or brand in full colour. The sweet squares sit in a gold tray encased in clear plastic, exciting the sense of sight as well as the sense of taste. A blue ribbon is added as a finishing touch to the overall packaging. One popular holiday that the branded Milk Chocolate Squares Gift Box would be perfect for is Valentine’s Day. Show your love and appreciation for your employees or staff by giving them each a box of these mouth-watering treats. It’s a rich combination of milk and dark chocolate, amounting to 135 grams of pure decadence. Surprise your clients and business partners, too. They will be most grateful to receive the branded Milk Chocolates Squares Gift Box, and they will most definitely know who remembered to send them such a sweet gift, thanks to the edible centrepiece that will have your logo or brand on display for all to see. The custom Milk Chocolate Squares Gift box is just the right size as well: 155mm x 105mm x 20mm, so transporting them won’t be a problem. 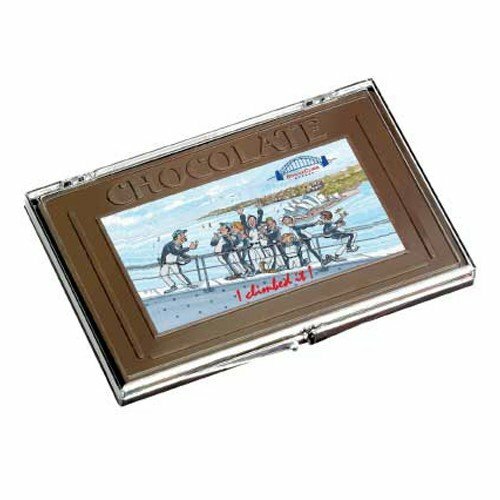 If you feel that a box of chocolates is a bit too formal for what you had in mind, we highly suggest that you consider our branded Milk Chocolate 100 Gram Bar, which mimics the standard candy bar packaging while still allowing for ultimate brand exposure. There’s also the custom Mini M&Ms Acrylic Canister for those who love branded M&Ms. Make your client gifts and tokens special with our branded Milk Chocolate Squares Gift Box. This box of delicious confectioneries is a great platform for your logos and designs. For more gift ideas, check our promotional caps and hats, starting with our custom Dreamtime Cap! For orders and/or queries, please do not hesitate to call us at 1300 008 300. You can also send us a message through our in-site live chat application. Our customer service representatives are on-hand to assist you.